Sandwell Removals Limited - Removals/Storage based in West Bromwich, West Midlands. 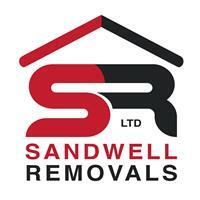 Sandwell Removals Limited is a family run business, Providing house removals and more. The company was established in 2008. We are based in West Bromwich and cover the whole of the West Midlands and Deliver Nationwide. Our aim is to provide an excellent customer service tailored to our clients needs. Please visit our testimonial website page and have a look at what our customers say about us (on Google and other review sites) and the quality service we stand for. Uniformed and fully trained staff who are courteous and considerate. If you require any further information then please do contact us and we are more than happy to help.